An authentic medley of sweet and sour apples with a mouthwatering fresh and crisp natural apple flavour. A huge hit with customer taste trials in the shop! 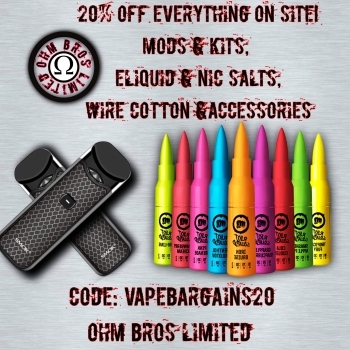 NOW only £1.06 per 10ml with the exclusive Vape Bargains discount code BARGAINS15. Just add this coupon code to your Rejuiced cart for 15% off your total order. Get this flavour for 50% for this week only. Not only that, but you can use the exclusive Vape Bargains discount coupon code to get an additional 15% off making it just £1.06 per 10ml bottle!